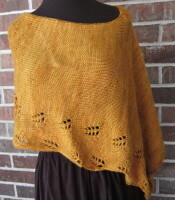 short 1 rectangle knitted poncho with hand transferred lace along lower edge. 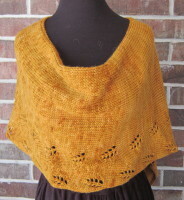 It also has a crocheted edge. The neck is short-rowed to make the neck smaller to make it fit better. 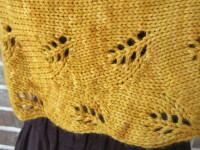 Yarn is Misti 50% alpaca/50% wool.